There is seemingly no shortage of factors that cause drivers to behave inappropriately behind the wheel. Whether someone is upset due to personal reasons, distracted because of cell phone use or by passengers, or irritated because of traffic conditions such as congestion or construction, these factors may cause a motorist to be unsafe. However, when this type of behavior prompts reckless driving, the circumstances can be much more serious. 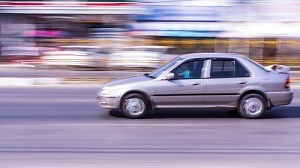 Reckless driving in Georgia may cause severe accidents, and motorists and passengers may suffer lifelong, or even deadly, consequences as a result. What Is Reckless Driving in Georgia? While some of these behaviors also fall under the category of aggressive driving, the two are not the same. Aggressive driving in Georgia implies that a driver is operating his or her vehicle with the intent to harass, annoy, obstruct, or intimidate other drivers, passengers, cyclists, or pedestrians. But a motorist can be charged with both reckless and aggressive driving. What Are the Penalties for Reckless Driving in Atlanta? Under Georgia state law, reckless driving is a misdemeanor, punishable by a fine of up to $1,000 and possibly one year in jail. A motorist could also face points on his license or even the loss of driving privileges. Penalties can be greater if there are other charges involved. If a reckless driver attempts to flee from a police officer, fines increase and some jail time is a near certainty. If the negligent behavior caused serious injury or homicide by vehicle, these are felony charges with guaranteed prison time. Pay attention. If you’re distracted or engaging in risky behavior, you may not be able to spot a dangerous driver in time to prevent an accident. Always be focused on the task of driving. Actively avoid dangerous motorists on the road. If someone near you is driving recklessly, pull over or slow down when you can to put space between you. Don’t rely on that driver to cease the behavior to keep you safe. Report dangerous drivers to authorities. Don’t hesitate to call the police or highway patrol if another motorist is acting recklessly. You could save both your lives. Take your time. Allowing for ample time to reach your destination reduces stress and makes you less likely to engage in reckless behavior to get there. Additionally, the Centers for Disease Control and Prevention report that teenagers are the group most at risk to drive recklessly. Research states that teens lack the experience and maturity to assess and recognize risky situations, and it’s important for parents to continually discuss with young drivers the dangers associated with reckless driving. If you or someone you love has suffered injuries due to a reckless driver, the experienced car accident atorneys at the firm of Rechtman & Spevak may be able to help. Take a moment to fill out our online contact form. You’ll hear back from a member of our team who can answer your questions and help you decide how to move forward after an accident. What Kinds of Compensation Is Available After a Car Accident?